For the past few weeks, my three little cousins have been staying with us in Verbier. As I think I've mentioned before, my uncle has been staying here for several months, partly due to the fact that he broke a vertebrae in his neck recently while mountain biking (he's recovering well, though stuck in a big neck brace). So my cousins came out to see him and enjoy the mountains. 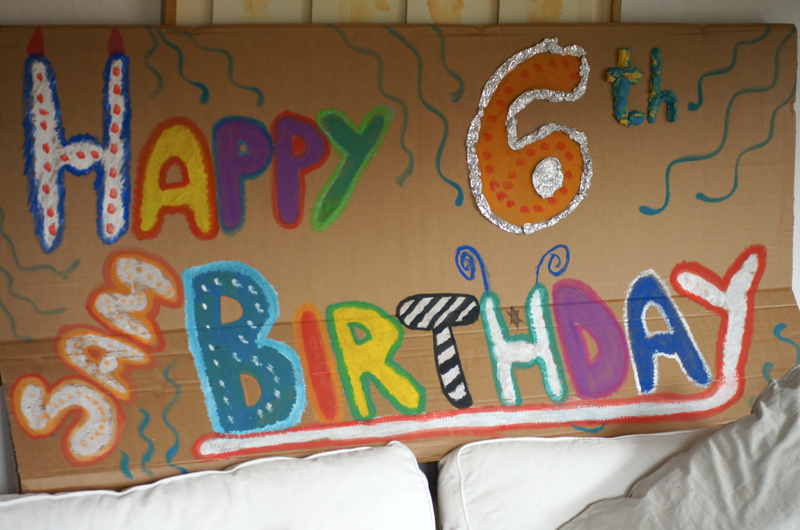 It just so happened that my cousin Sam turned six yesterday. So I made cake. Obviously. 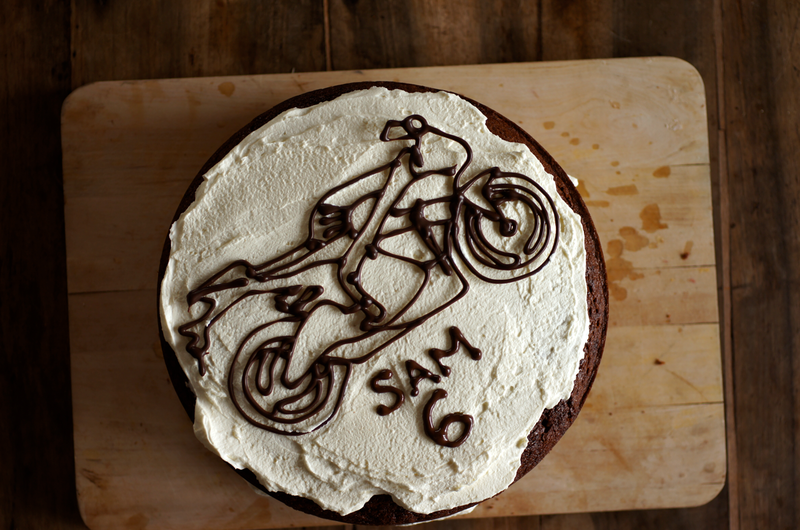 Sam's mum told me that he wanted a motorbike cake. I asked my uncle exactly what sort of motorbike we were talking about. I don't know anything about motorbikes and I didn't want to get the wrong type. 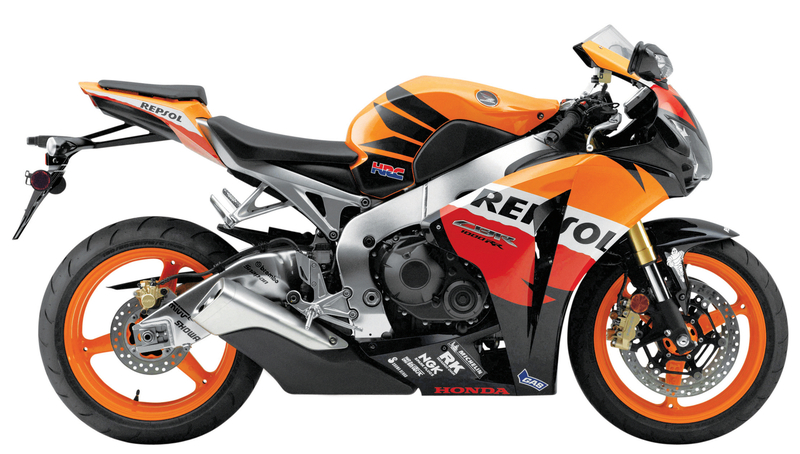 So we found a photo of his favourite (this Honda, to be precise) and I used that as my base. 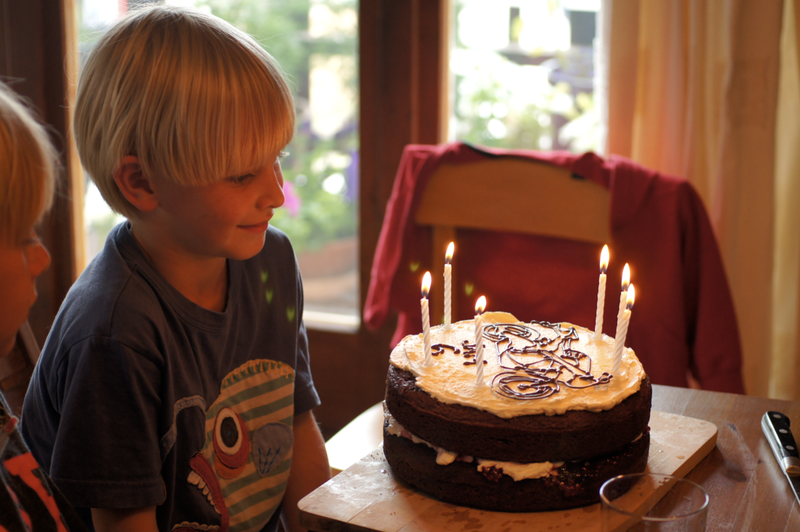 Sam also doesn't like icing, especially the fondant or royal icing used for so many novelty birthday cakes. I don't blame him - I'm don't really like them either. So instead I filled his chocolate cake with whipped cream and homemade raspberry jam and topped it with more whipped cream. Unfortunately my cream over whipped a bit in the second I looked away, but it still tasted good. I haven't written out a recipe as this was simply the cake recipe from this post made twice (once for each layer) and baked a 9" tin, soaked with a little vanilla syrup and then sandwiched together with whipped cream and raspberry jam. 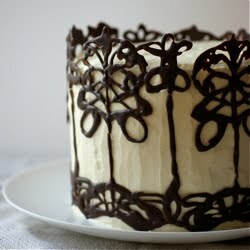 I made the decoration made in the same way as the Beautiful and Damned cake but kept it flat. I haven't made an un-iced cake for ages but it's pretty hard to beat the combination of freshly whipped cream and chocolate - he's a very lucky little boy! 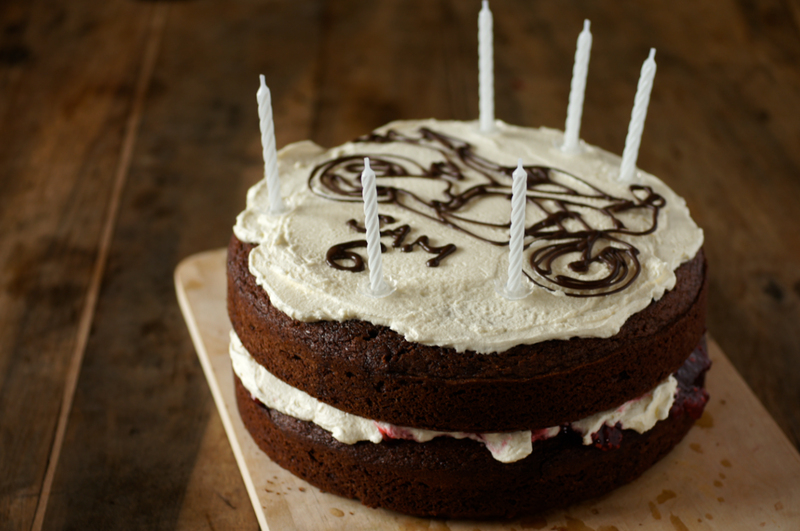 Love the way you created the chocolate motorbike too - beautiful pics. I don't blame the birthday boy either, I can't stand fondant! He's so lucky to have you as a cousin, totally wowed by your piping skills! Love how classic this cake is, you can't go wrong with jam and whipped cream. 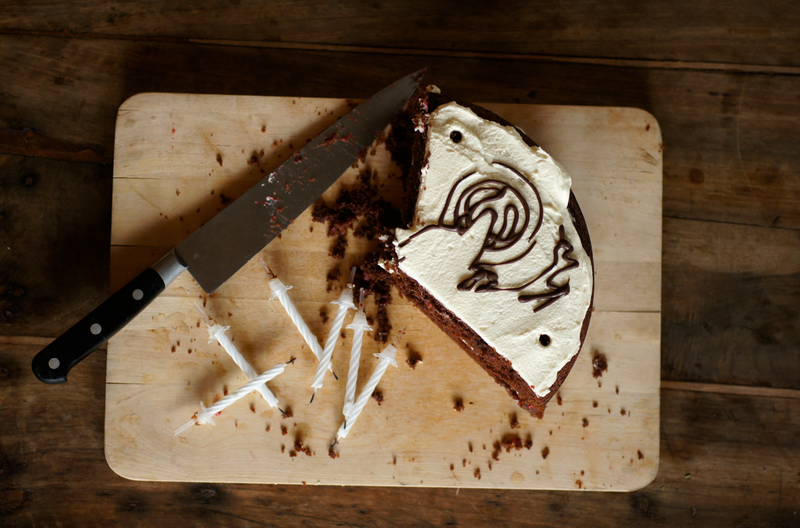 I am not a fan of icing either - it is far too sweet for me. Thank you so much cousin Emma! I loved it. Especially the motorbike. The motorbike looked awesome! I really wanted to see the rest of the photos in this post, but linking to Photobucket means that your photos are not loading quickly at all. I recommend uploading your photos elsewhere! thelittleloaf - Thanks :) Sometimes it's so nice to have a simple cake where the cake itself doesn't get sidelined. Steph - it just tastes so fake to me - the last time I bought some it literally smelt of paint stripper. I'm going to try and make it myself at some point and maybe see if you can flavour it. As the smooth effect can be quite cool. Jolene - I know what you mean, over-sweet icing tends to make me feel a bit sick! Anon - That's bizarre, it always loads quickl for me and every other computer I've tried. I'll look into it, thanks for the tip.